Having a nice little tea & snack with my dad. 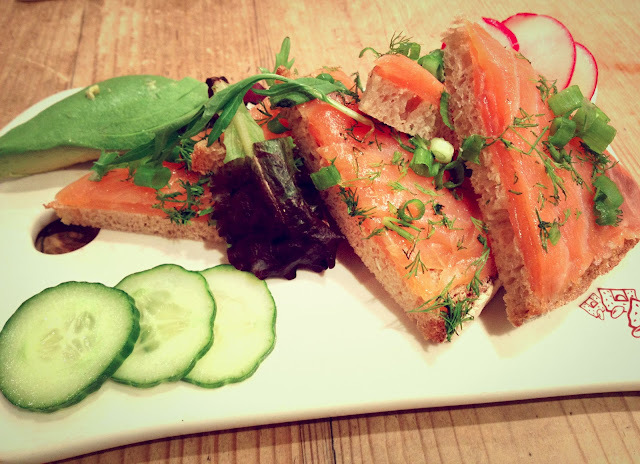 Ordered this yummy smoked salmon and avocado tartine. Bon app! Amazing, i love salmon n avocadooo ! Maybe i ll try once! Hey Annie :) What's the name/type of your Michael Kors watch?? Hey Annie, I'm a big fan of your blog & love everything you post. You are a great inspiration to me & if I end up going to school in NYC I hope to be able to meet you! ^^I think this is a very good question! I find myself either sleeping very little (4 hours) or oversleeping to try to catch up. Both ways make me very fatigued. Also could you talk about your oral hygiene? Like what sort of toothpaste do you use, do you use mouthwash, etc. You're the best! More videos ANnie pleaseee... You cant keep torturing us like this lol. annie! i think it would be so cute if you did a throwback day on your blog! it would be so cute seeing you as a child!